For the food and beverage industries, the TIDAL technology also features FO spiral membranes. 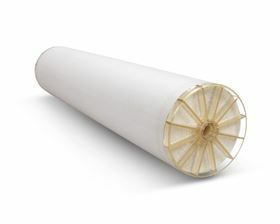 Koch Membrane Systems (KMS) has announced the launch of its TIDAL Forward Osmosis (FO) technology tailored to the food, beverage and life science sectors. The TIDAL FO technology enables product concentration without heat. Heat exposure during thermal evaporation can compromise the essential properties of products. This technology uses osmosis, which is a natural process that allows concentration of food, dairy and beverage products without exposure to heat, thereby preserving their intrinsic properties. The automatically controlled TIDAL FO systems process food and beverage streams from 3-50 gpm (1-10 m3/hr). These units are easily scalable to larger flow rates. Additionally, KMS offers potential users lab and pilot scale units for feasibility tests and demonstrations. The site is designed to help customers better understand the company's membrane technology.